Discussion in 'Track Days, Car Shows and Gatherings' started by Darth Boss, Jul 8, 2014. I've been wanting to go to this since I moved to a Texas six years ago. Finally was able to keep my calendar free and registered. 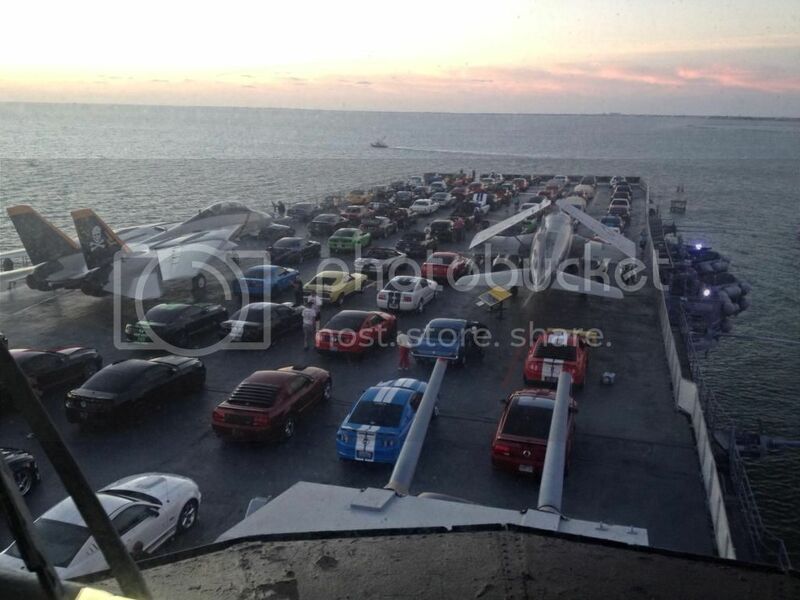 Looking forward to the unique experience of driving my car onto an aircraft carrier. 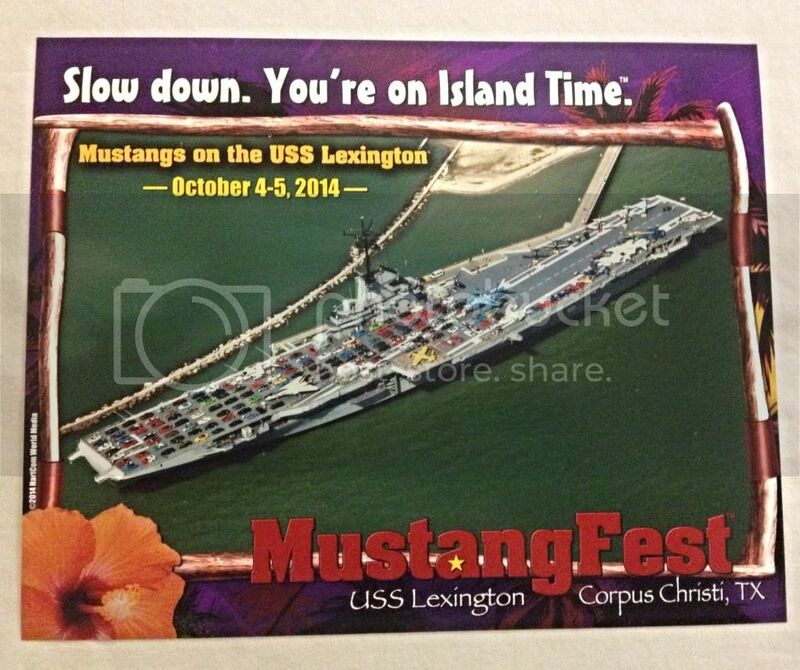 There is still a show on the island too, but the carrier will be the bigger of the two. 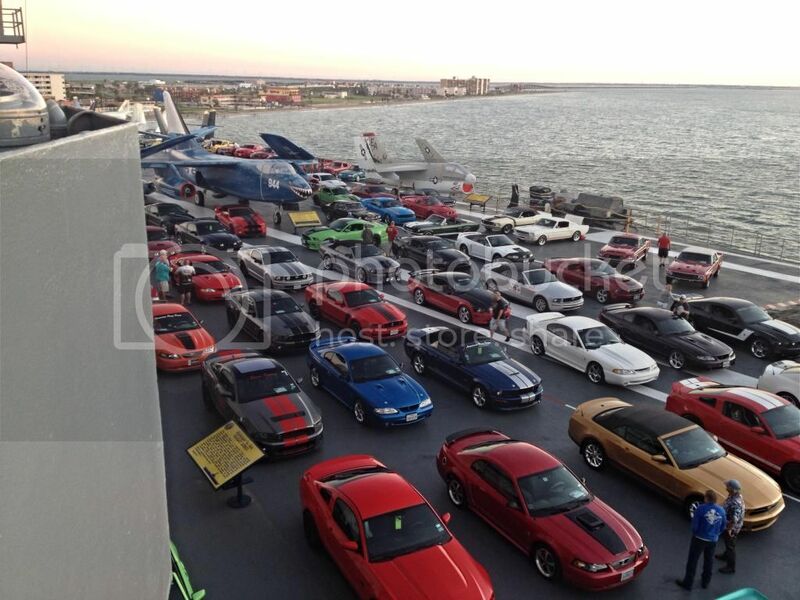 There is Cruise that starts in Oklahoma, through San Antonio, then onto Corpus. A party at Cowboys Dance Hall in San Antonio on the cruise night is a nice touch. If you do register, you can ask to be in the front rows. Most that have didn't know this and there are a few spots left. Guarantees a good spot for the aerial photos. I'm excited! Can't wait! 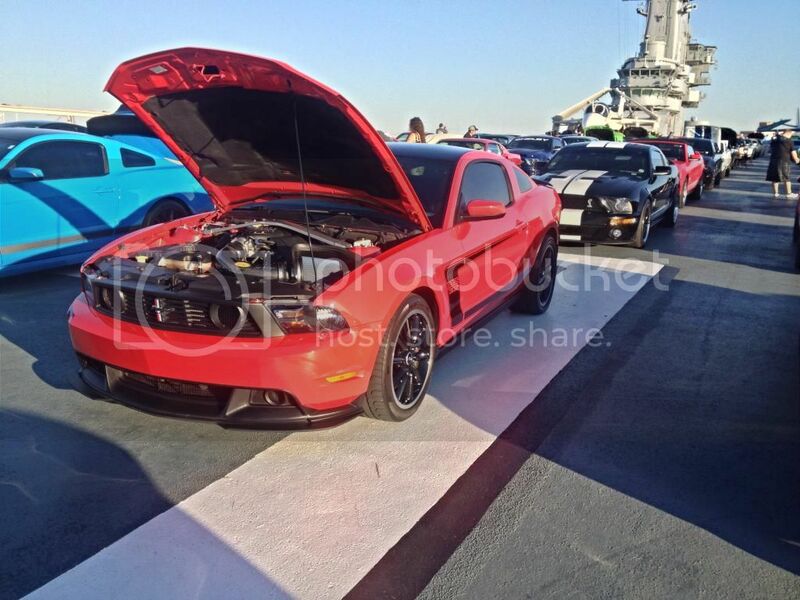 Hope to meet some other Boss owners! Wow-looks like you might either have to leave earlier or stay longer at the event then you want to. Lol. It's all set to times, so no getting off until they are ready to unload the ship. Guessing since we are in the front we will be last off. No worries because I'd rather be first on, vs waiting for everyone else. I hear driving on and off is a fun experience in and of itself. Fomoco302 Life is short. Live well! I might try to do this. I didn't have a chance a few years back when my HOG chapter (Harley's) did the same thing. How cool is that. Wish you could sail that carrier closer to Denver. Ha...maybe if I did I could tow Mile High Stadium to Texas. Go Broncos! Should be lots of fun, plus the beach! HOLY CRAP!!! How is it this is the first I hear of this!!!! IM THERE! Gonna register now. Gonna put in for time off from work tomorrow and if they say no, looks like I'll be sick that week! Hope I can squeeze in the front row! Be cool to see other Boss owners and fellow sailors again!!! I know I'm gonna wanna reenlist as soon as I get back. Lol. Very cool. Call the number and talk to Island Tom about requesting to be in one of the front rows. Hopefully spots are still available. He will give you an email to request the spot. Super nice guy, will answer all your questions. There are going to be quite a few Bosses as Tom has memorized our stock 444HP ratings from registration. Look me up while you're there! Just got off the phone with Island Tom. EXTREAMLY informative. He's gonna try and squeeze me up front. Woot! Said there are about a dozen Bosses registered! Should be a blast! See you there! 8) Thanks for posting this! Very cool, no problem. Yeah, you can tell Tom loves this event. 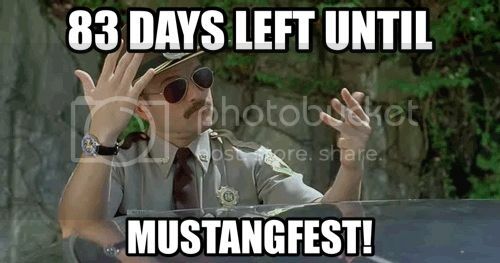 Looking forward to meeting him and a lot of fellow Mustang enthusiasts. Good times a comin! Be sure to eat at Snoopy's Pier while your there. It's an awesome place. Look it up on Yelp! Will do thanks. Still have some planing to do. Saw this and immediately registered. I can be compulsive at times hehe. I'll be headed up from Miami,Fl. Lol! Already counting down. Anyone know if there will be any Profesional detailers available before the show? 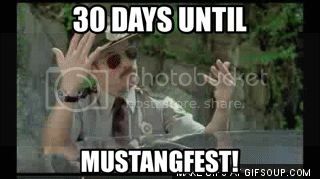 Will write a review soon, but looks like I won't be doing another Mustangfest again....pfft.